San Francisco Gastroenterology is affiliated with several state-of-the-art endoscopy & colonoscopy centers, all located in San Francisco. Your physician will decide which endoscopy center is best suited for your procedure(s) depending upon the complexity of your medical situation and your insurance. All three endoscopy centers offer the latest in equipment and technology and provide excellent nursing and staff services. Golden Gate Endoscopy Center was founded in 2007. 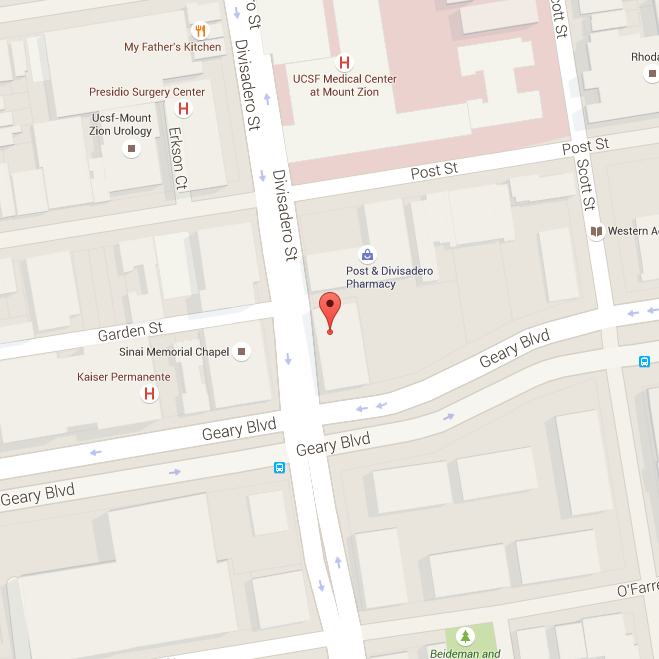 Golden Gate Endoscopy Center is centrally located. Dr. Farrell is involved in the governance of the center. This GI lab is part of California Pacific Medical Center. Endoscopy and colonoscopy procedures are performed here in addition to other services including breath tests. The entire staff were wonderful. My first time experience was beyond my expectation. You guys are all perfect. Thank you for keeping me healthy and happy. Propofol is the way to go. Thanks everybody! This was a great experience. Well, as good as endoscopy could be! What a great staff! Very friendly and helpful and calming. Thank you for making this as pleasant as possible.